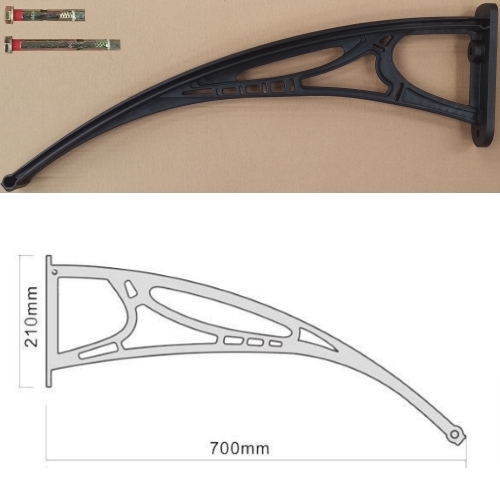 700mm projecting door canopy arm in black, for the combo-canopy original range of door canopy. The bracket is made from high tensile engineering plastic and used in conjunction with the other components (sheets and aluminium trim) for creating a combo canopy. Also included are 2 expanding bolts for fastening the bracket to brickwork.